The webinar aims to illustrate the opportunities that the Argentina's new rules for distributed generation offer to the prosumers of the country, as well as the challenges that businesses in the residential and commercial photovoltaic sector could face in the initial phase. In addition, the net metering mechanism and the series of additional incentives planned by the Argentine government for rooftop PV will be described in detail. Webinar Language: Spanish. There will also be the opportunity for a Q&A session at the end of the presentation. Don´t miss it! If you will not be able to attend, but interested in the presentations or webinar records, feel free to request the webinar slides and recordings. Marcelo Alvarez (1965, Argentine) is engaged in the solar energy sector for 34 years with profound academic and professional experience. 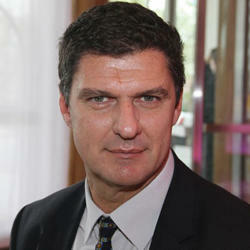 As scientific researcher he has been working at Buenos Aires University, Argentine and at Oxford Brookes University, UK. Positions as regional manager for Solarex, BP Solar & Tenesol (Total Group) are part of his work expirience. His current positions are besides director of ALDAR SA, President of Argentinean chamber of Renewable Energy (CADER www.cader.org.ar ), as well as member of board of Directors of IRESUD (private and public consortium to develop solar pv technology in urban areas in Argentina www.iresud.com.ar) and the Global solar Council (www.globalsolarcouncil.com). He is a local pioneer in regards to rural electrification through solar pv energy.